Mid-Century Outdoor Living Spaces ? And Why They Matter! Frank Lloyd Wright designed his mid-century marvel homes with great windows & abundant natural light, and he described often the notion of “bringing the outside in”. The true beauty of mid-century homes doesn’t begin inside the front or back door, it begins at the curb, up the driveway, and in all the outside living spaces that surround the home, and are literally absorbed through the windows. Modern outdoor living spaces feel like “rooms” which beckon us to come sit or play outside, with outdoor furniture placed in such a way that plantings tuck them in and they become inseparable. These “rooms” are where friends and family want to gather to eat, drink, and relax. Mid-century living spaces are all about edgy-simplicity and cool-artful angles. From flying rooflines to carports and breeze-block, symmetrical plantings and structures such as panels, pathways, and planter boxes, and mass-plantings which group similar colors or textures. 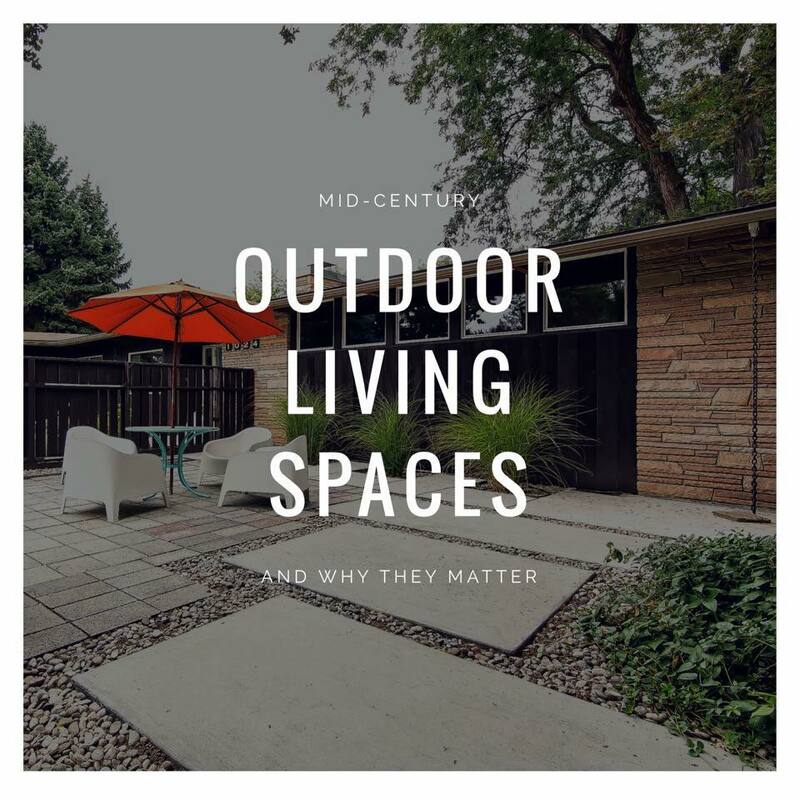 Mid-century living itself, is rooted in the simplicity of natural beauty (think hardwood floors and stone fireplaces), so of course, the outdoor living spaces are of equal importance to the true mid-century enthusiast! When creating outdoor spaces surrounding the mid-century home, it is every bit as important to the mid-century enthusiast to consider how the outside affects the inside. Sunlight, plantings and structures must all compliment the home from the inside looking out. It has been said that “eyes are the windows to the soul”, and in response, the mid-century enthusiast might say that in the 50’s home, the windows are the eyes to world.